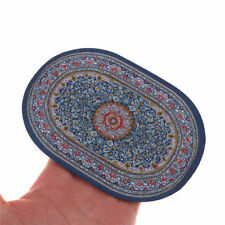 Doll House Carpet Dollhouse Miniatures 1:12 Accessories Mini oval carpet GS! 100% new products. Color: Blue. 5 out of 5 stars - Doll House Carpet Dollhouse Miniatures 1:12 Accessories Mini oval carpet GS! 2 product ratings2 product ratings - Doll House Carpet Dollhouse Miniatures 1:12 Accessories Mini oval carpet GS! Trending at C $4.55eBay determines this price through a machine-learned model of the product's sale prices within the last 90 days. 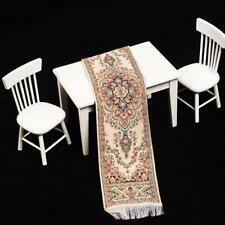 Dollhouse miniatures woven carpet rug floor coverings. 1 Piece Dollhouse Rug. - Color: Beige. 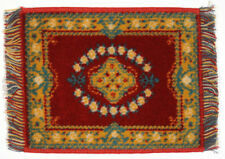 - Note: These rugs are1/12th scale miniature collectables and are not suitable for childrenunder 14 years old. This woven carpet toy is well designed and crafted for your doll house. This carpet features delicate and exquisite embroidery with black ground color. This dollhouse carpet model is a great decoration for your interior model.Description:Dollhouse woven carpet toy, perfect for interior modelFeatures delicate and exquisite embroidery with black ground colorWell designed and crafted for your children to have the best house-hold companion for all day long playingAbout 1cm length tassels on two sides of the opposite wayGreat decoration for your doll houseSuitable for 1:12 dollhouseMaterial: Artificial silk threadMain color: BlackCarpet size(L x W): Approx. 24.2 x 15cmPackage Includes:1 x Carpet toyNote: Please be reminded that due to light effects and monitor's . DOLLHOUSE MINIATURES. Applicable for: 1/12 Miniature Dollhouse. Over 10 30% off at least. 5~9 20% off at least. 2~4 10% off at least 1. This is a French country style area rug, and it is also a fine dollhouse living room decor. Printed on thin plastic so you can grout pieces in place. WOODSTRIP FLOORING 16 7/8"x11 1/4" 2PCS. Applicable for: 1/12 Miniature Dollhouse. Over 10 30% off at least. 5~9 20% off at least. it can be used directly. Your kind understanding will be very appreciated! 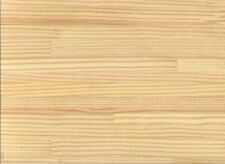 Dollhouse Miniature Dark Real Wood Flooring 1/4" Planks 1:12 Scale 17" x 11"
Random length plank flooring with 1/4" planks. Real wood flooring, can be cut with scissors or craft knife. Textured Vinyl that can easily be cut with scissors. Color: Black & White. Usable area 16 1/2" x 11". When you remove the fabric from the thin paper backing, you'll see it has a shiny back which will fuse to another fabric surface when pressed with heat. I use a coordinating color of felt. Place your fabric sheet on the felt where you are going to apply it. 1" SQUARE TILES 1/2" SQUARE TILES 1/4" SQUARE TILES. MARLIKE FLOORING. 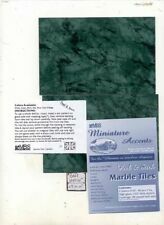 SUPERB QUALITY MINIATURE FLOOR TILES. THESE TILES ARE FROM OURMARLIKE RANGE. WE PRIDE OURSELVES ON A FAST FRIENDLY EFFICIENT SERVICE. Real wood flooring, can be cut with scissors or craft knife. Wide 3/8" Plank Flooring. Applicable for: 1/12 Miniature Dollhouse. 2~4 10% off at least 1. 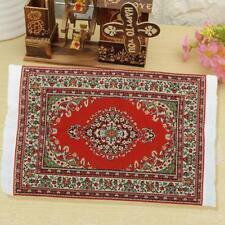 HIGH QUALITY EMBROIDERED CARPET. Including: 1 carpet . GRAND COLLECTIONS FOR DOLLS. Your kind understanding will be very appreciated! Dollhouse Miniature Real Wood Flooring Houseworks Black Walnut 1:12 17" x 11"
Real wood flooring, can be cut with scissors or craft knife. Random length plank flooring. Applicable for: 1/12 Miniature Dollhouse. 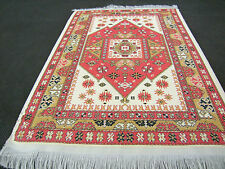 HIGH QUALITY EMBROIDERED CARPET. Including: 1 carpet . GRAND COLLECTIONS FOR DOLLS. 5~9 20% off at least. Over 10 30% off at least. 2~4 10% off at least 1. Last photo shows how the pieces break apart. Mix and match different tiles. Printed on thin plastic so you can grout between tiles. Colors: Gray, Off White. Beautiful woven rug for your dollhouse. Accent Rug. We may have it! You will not be disappointed with these, I promise you that. There are chubby Cherubs playing in the garden happily in this miniature tapestry, which is a very enjoyable image. Size: 14 cm X 16 cm. Large 17" x 11" sheet. Cuts with scissors easy.to fit your room. All images are for illustration purposes and taken from a sample. View More. 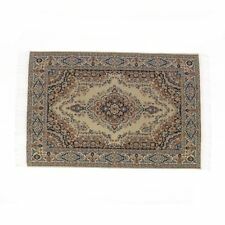 Dollhouse woven carpet toy, perfect for interior model. This dollhouse carpet model is a great decoration for your interior model. Suitable for 1:12 dollhouse. 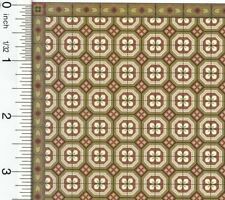 This woven rug floor carpet is well designed and crafted for your doll house. 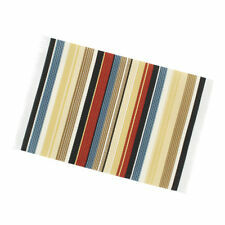 This woven rug floor carpet is well designed and crafted for your doll house. 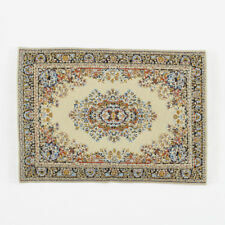 This carpet features delicate and exquisite embroidery with beige ground color. This dollhouse carpet model is a great decoration for your interior model.Description:Dollhouse woven rug floor carpet, perfect for interior modelFeatures delicate and exquisite embroidery with beige ground colorWell designed and crafted for your children to have the best house-hold companion for all day long playingAbout 1cm length tassels on two sides of the opposite wayGreat decoration for your doll houseSuitable for 1:12 dollhouseMaterial: ThreadMain color: As the picture showsCarpet size(L x W): Approx. 24 x 15 cm / 9.45 x 5.9 inchPackage Includes:1 x CarpetNote: Please be reminded that due to ligh. Beautiful woven rug for your dollhouse. Accent Rug. You will not be disappointed with these, I promise you that. Vibrant colors. Dollhouse Miniature Beige & Maroon Stair Runner Rug Carpet 1:12 Scale 19" x 2"
Beautiful Stair Runner Carpet with Beige, Maroon, Gold & Black. Miniature Needlepoint Carpet Rug Dollhouse 1:12 Petit Point 9 3/8"
I think they call this micro petit point because of the many fine stitches it takes to complete it. - I am not sure who the artist is of this fine piece. Dollhouse Miniature Oval Rug Pink 5"x3"
OOAK Dollhouse Miniature Rug Vtg Fabric CAGNEY in SEAFOAM 2" x 2-1/2"